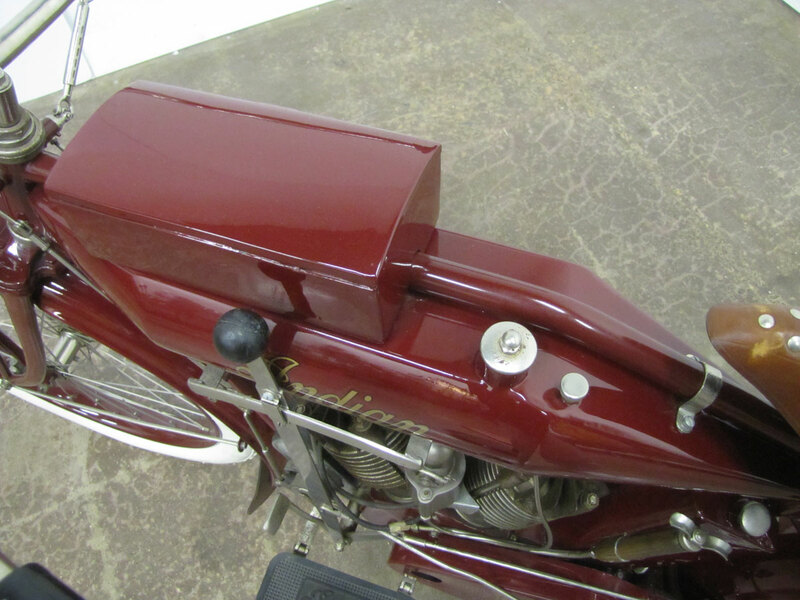 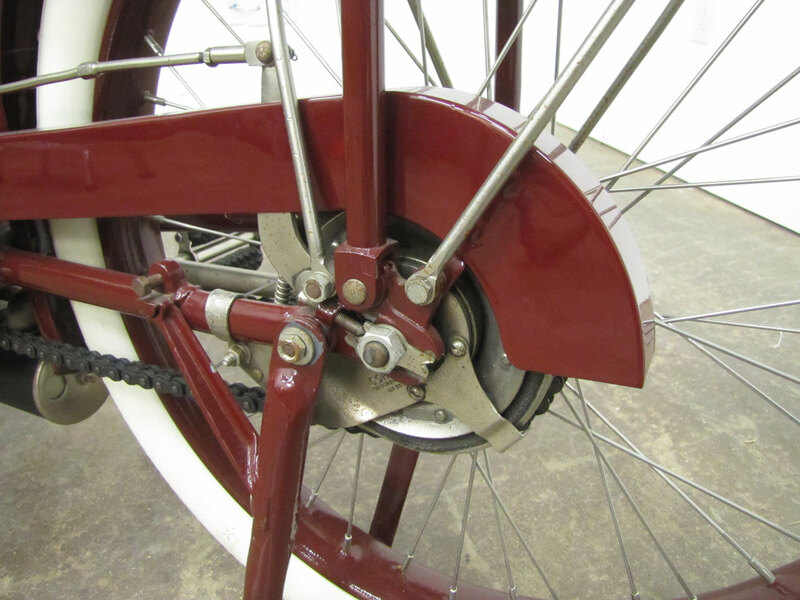 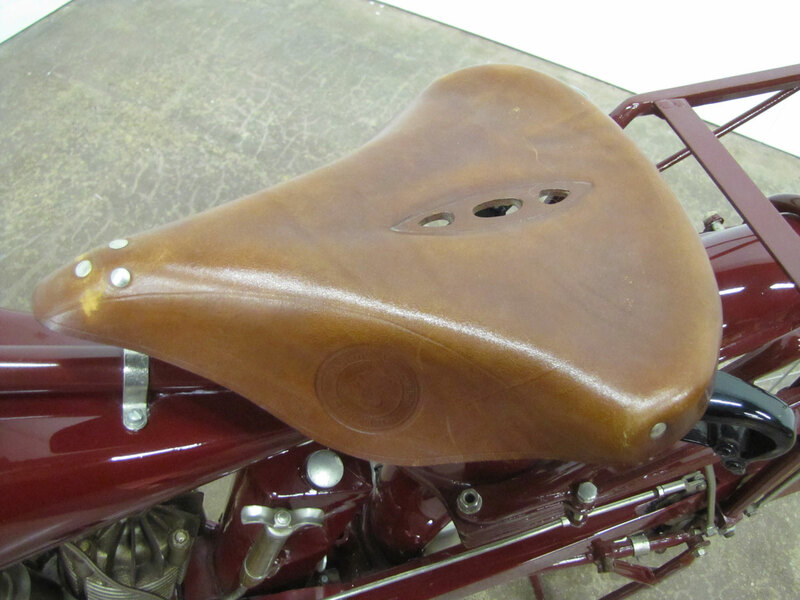 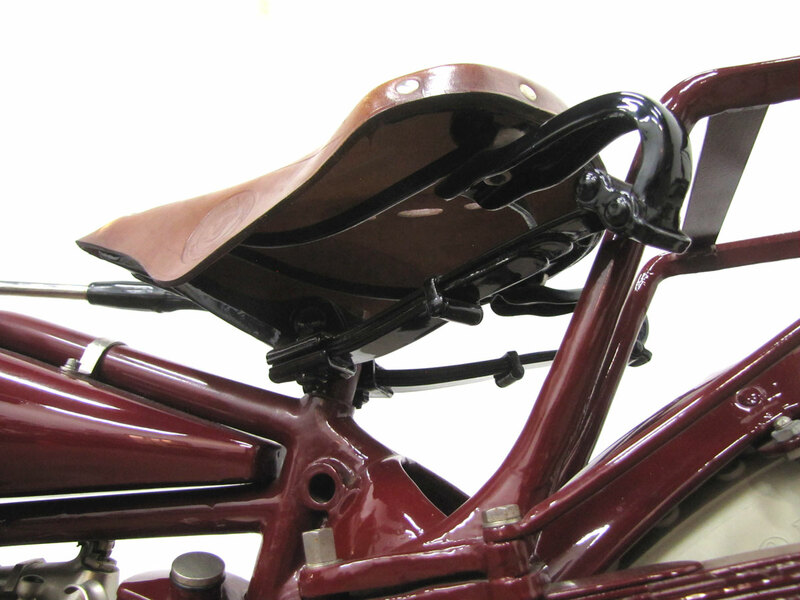 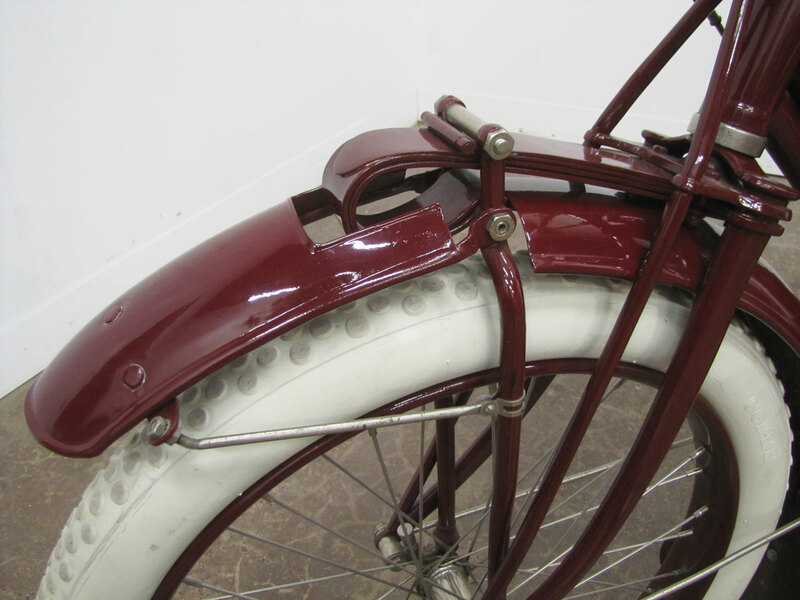 Indian was respected for technological innovation such as Cradle Spring Frame rear suspension and electric starting. 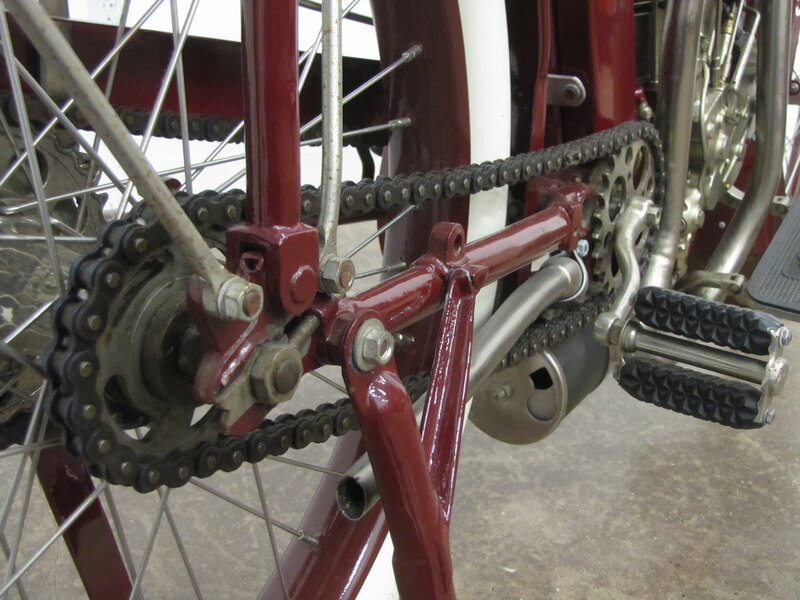 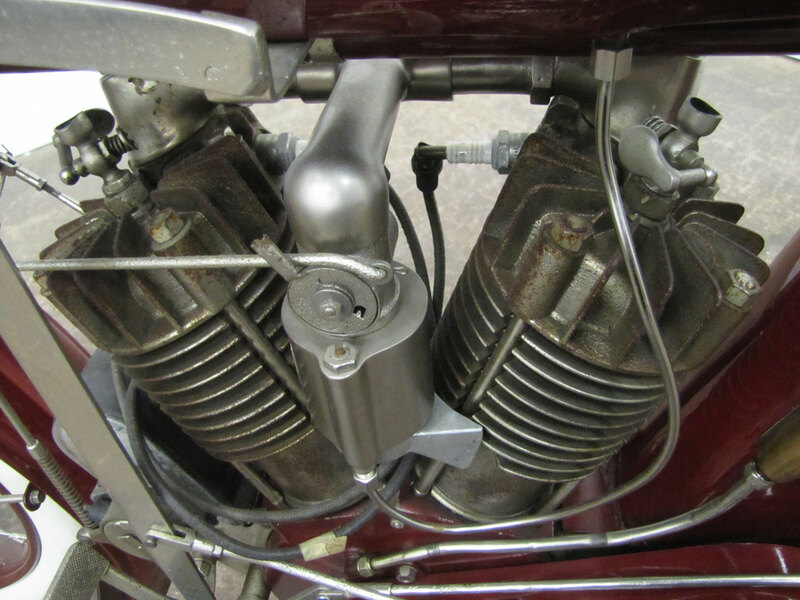 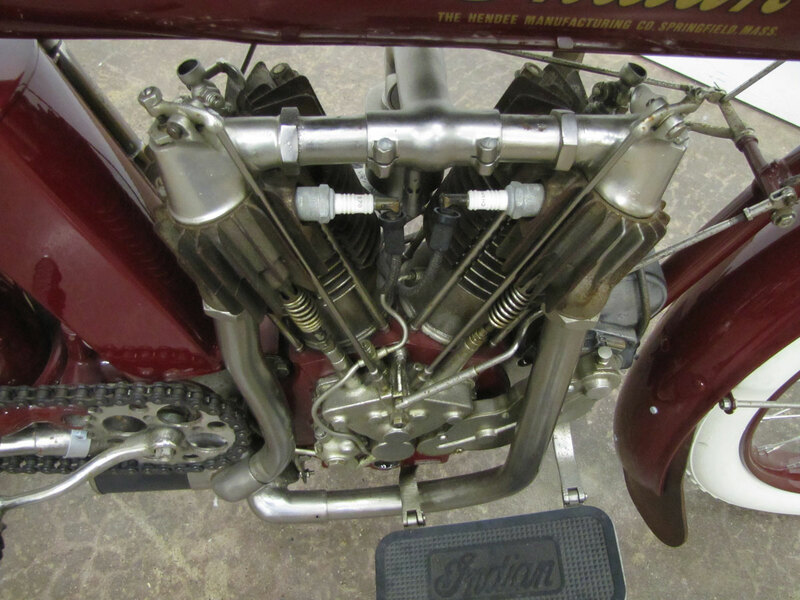 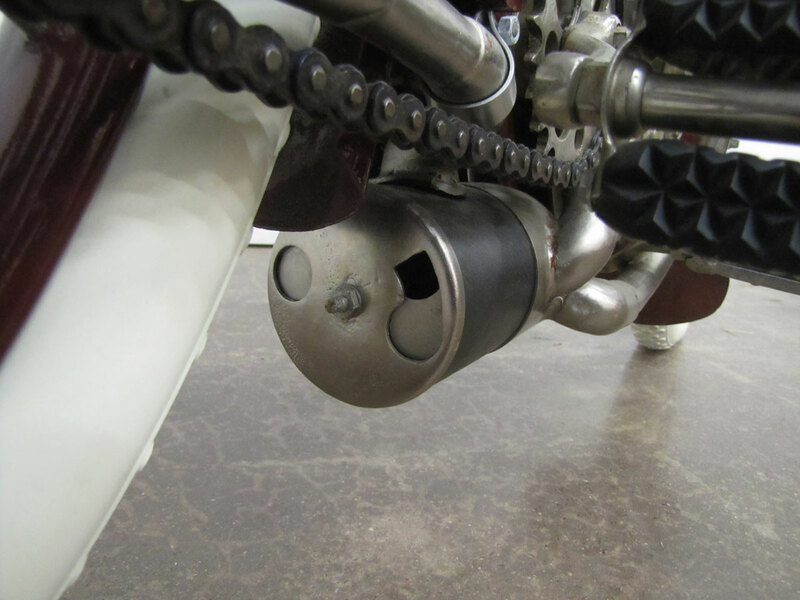 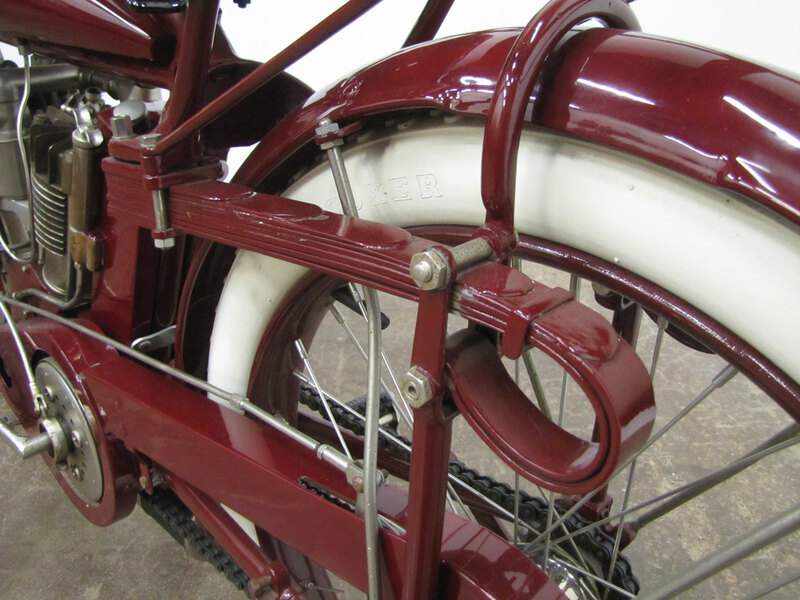 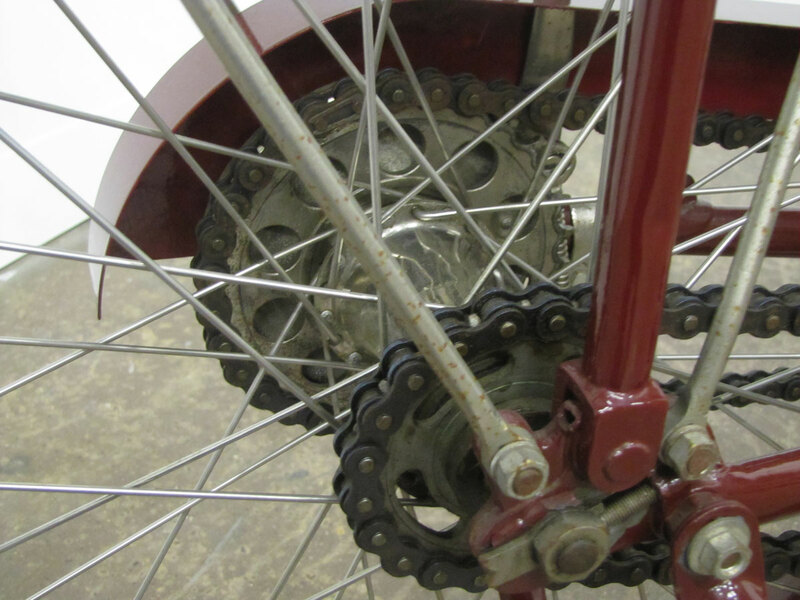 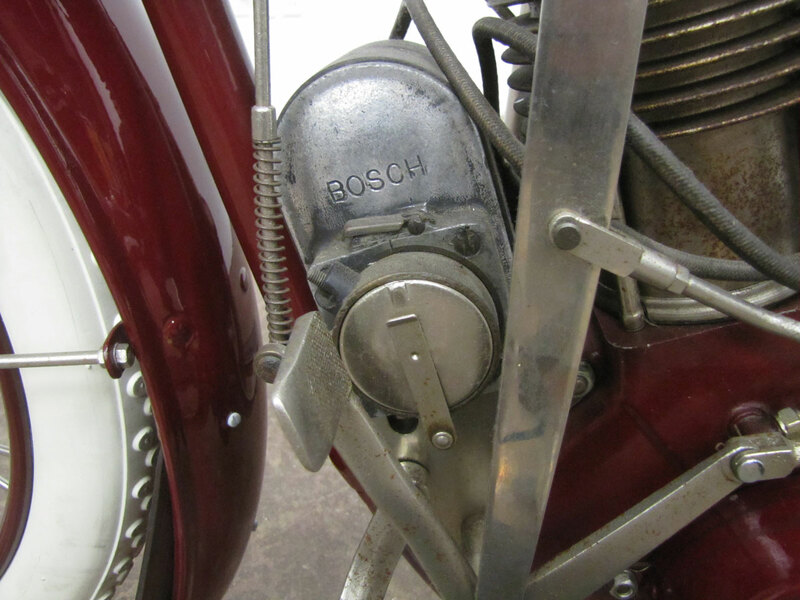 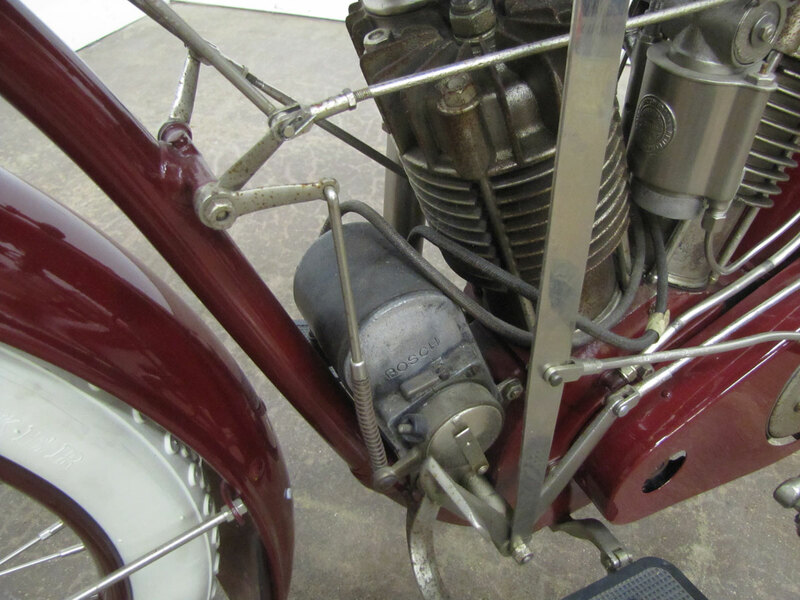 Though Merkel and Minneapolis experimented with rear suspension in this era, it did not appear on Harley-Davidson’s touring machines until 1958, over 40 years later. 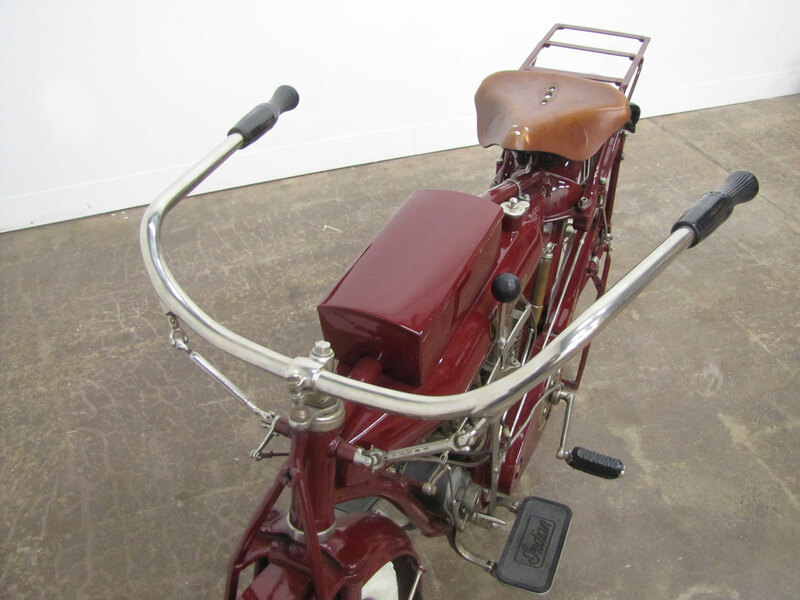 In 1914, the Hendee Special, largely identical to this machine, pioneered electric starting and might have been successful had better storage batteries been available. 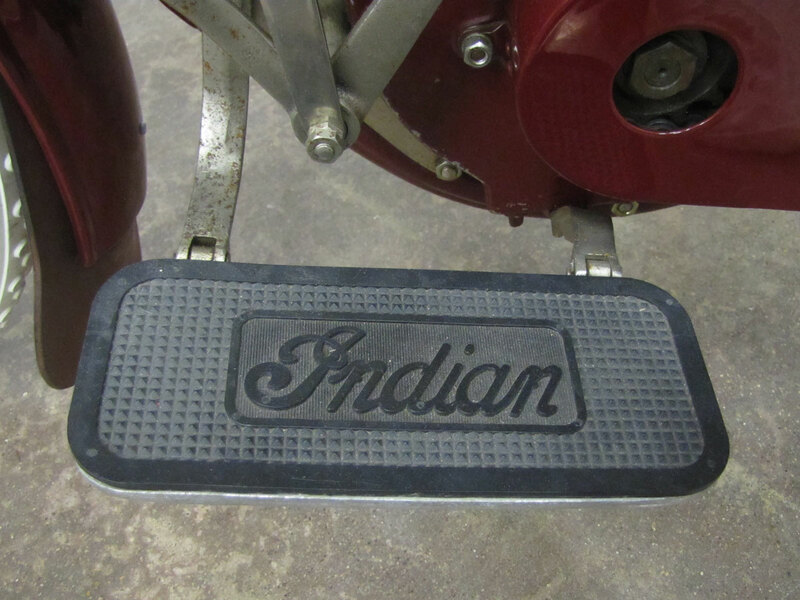 With the exception of one year’s experimentation with belt drive, Indians were always higher grade chain drive motorcycles. 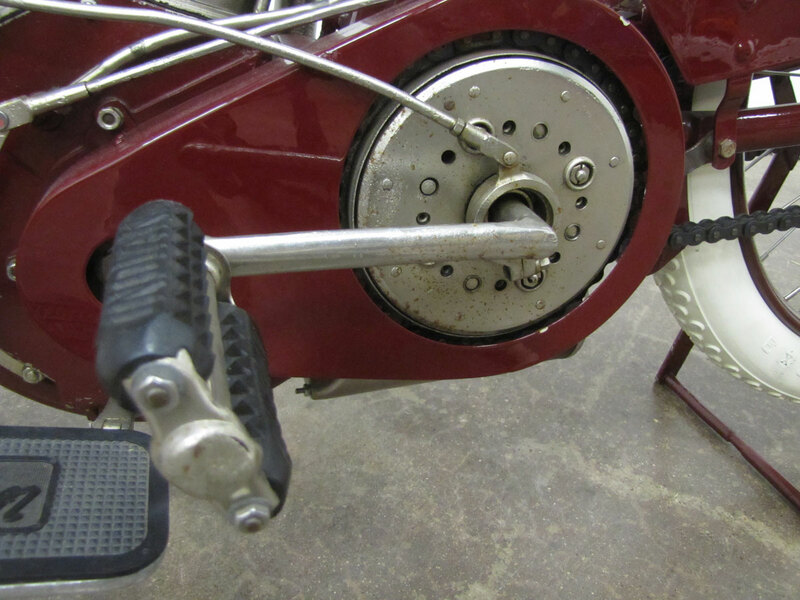 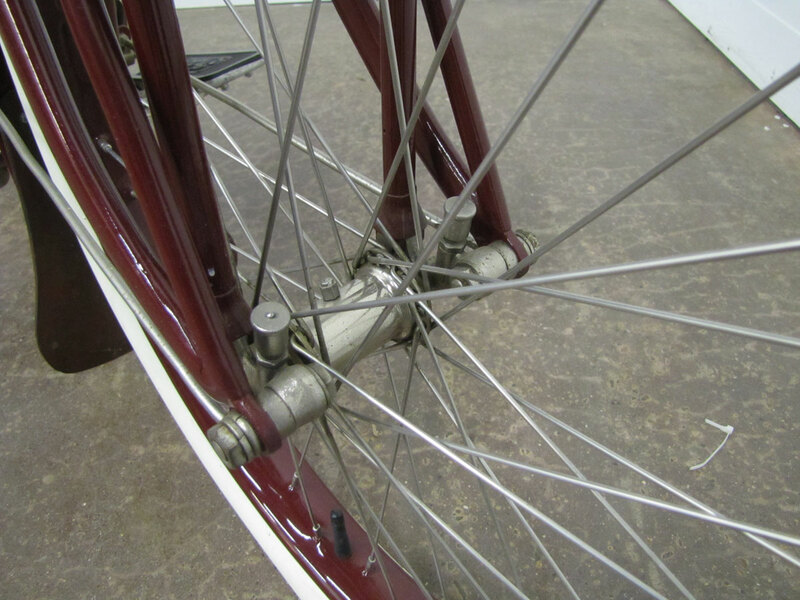 It is often difficult to bring change and it’s possible the “cradle spring frame “was a bit bouncy as no form of damper was employed with the leaf springs. 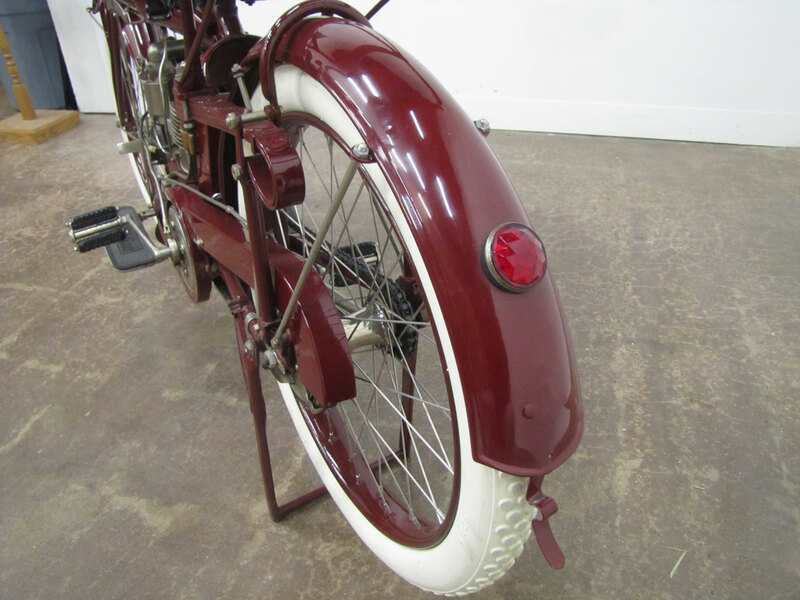 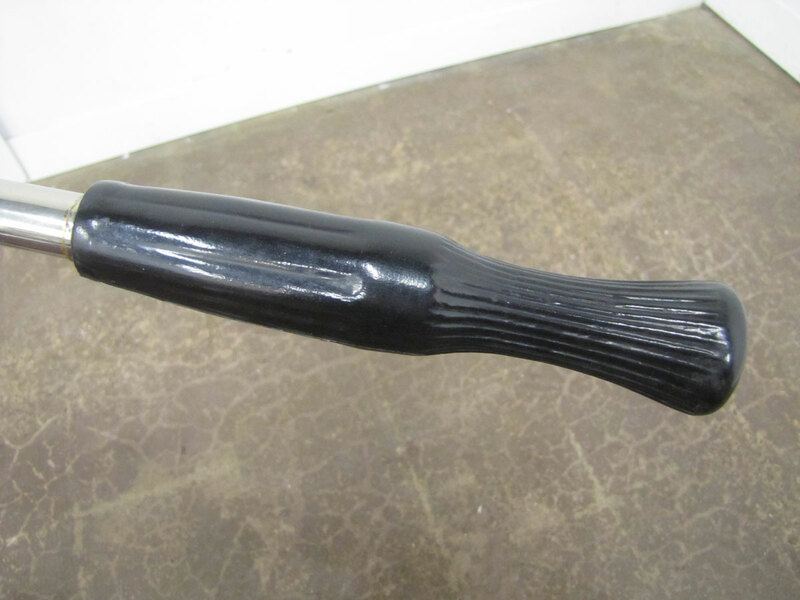 This design lasted but a few years, then it was back to rigid until the plunger design was employed in 1940. 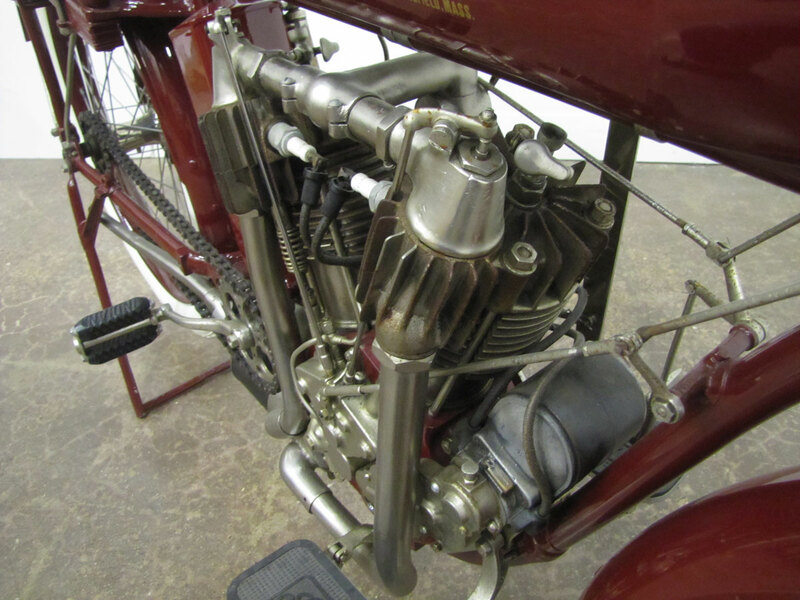 After launching with the lightweight “Camel Back” in 1901, in 1907 Indian introduced its first V-Twin powered road going motorcycle. 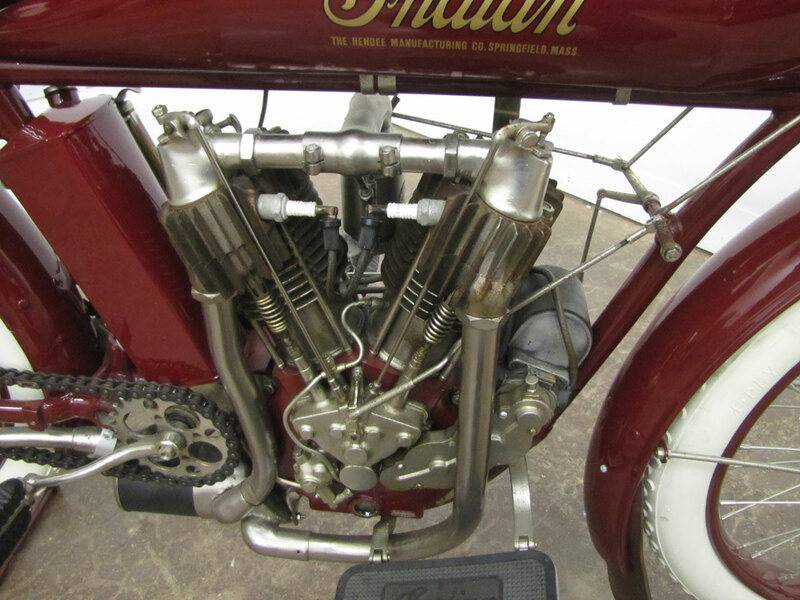 In 1911 Indian took the first three places in the Isle of Man road race. 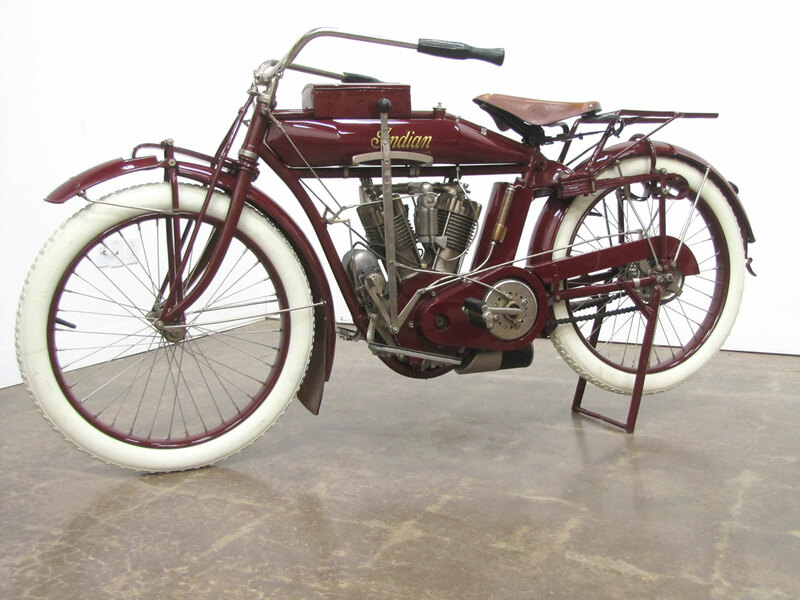 Indian was the World’s Largest Motorcycle Manufacturer in 1913. 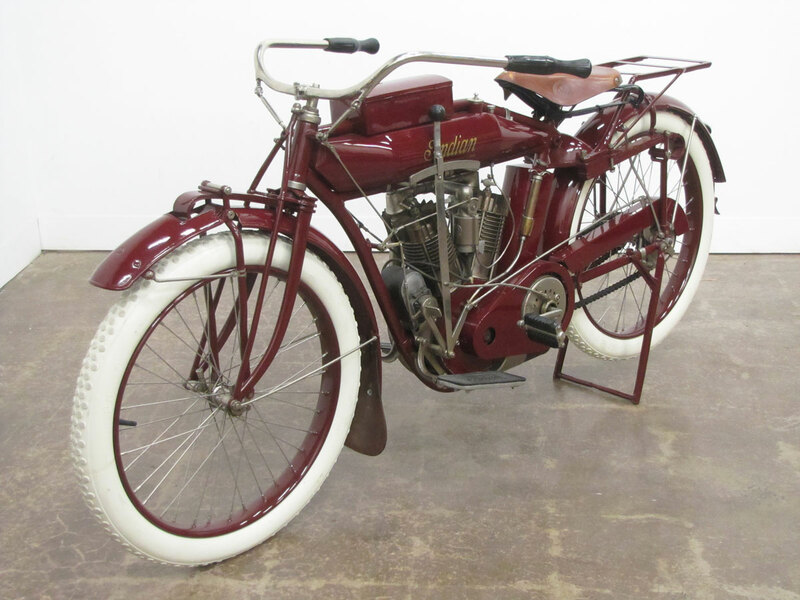 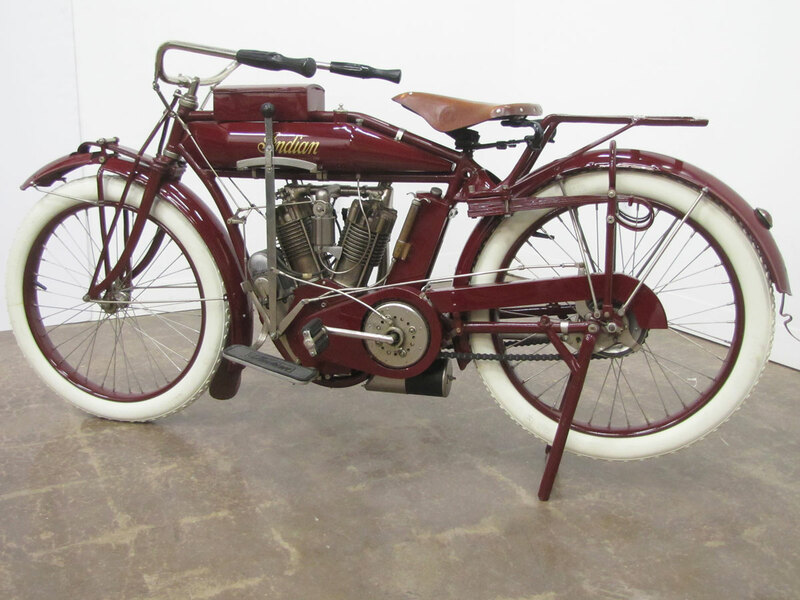 In 1914 Irwin “Cannonball” Baker set a cross country record on a machine very similar to this 1913 Indian demonstrating the brand’s durability. 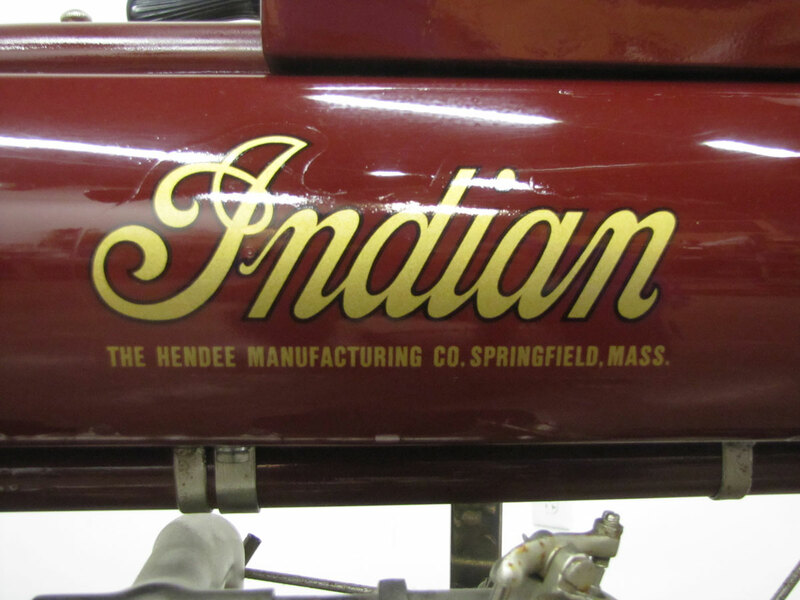 By the middle teens Indian was at its peak manufacturing over 30,000 motorcycles per year with half for export. 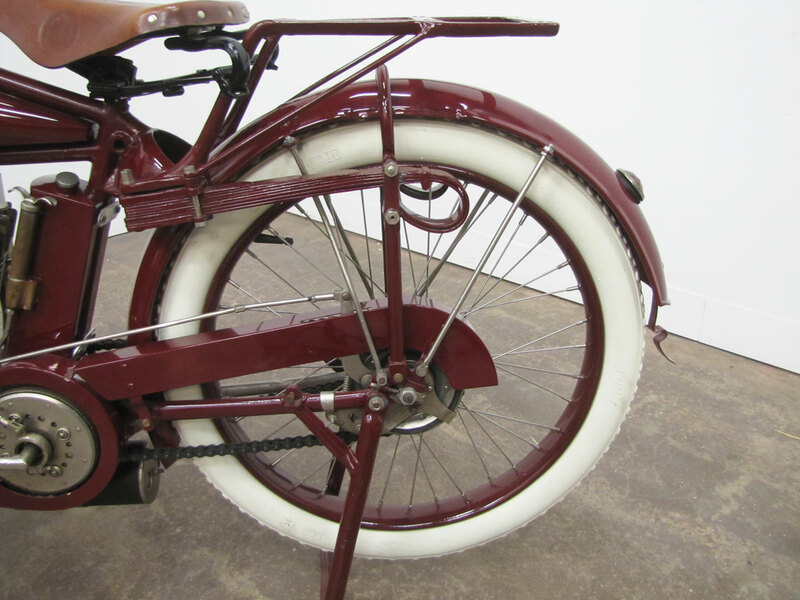 But the Ford Model T changed everything. 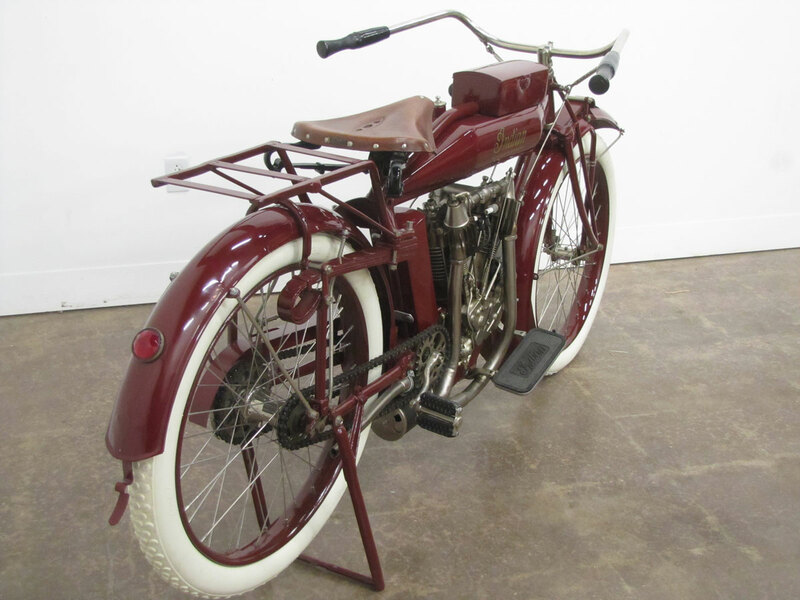 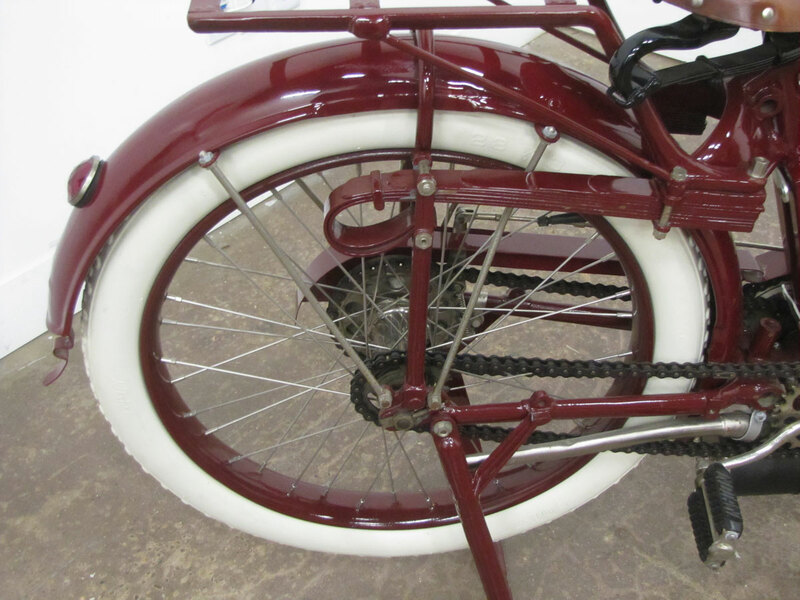 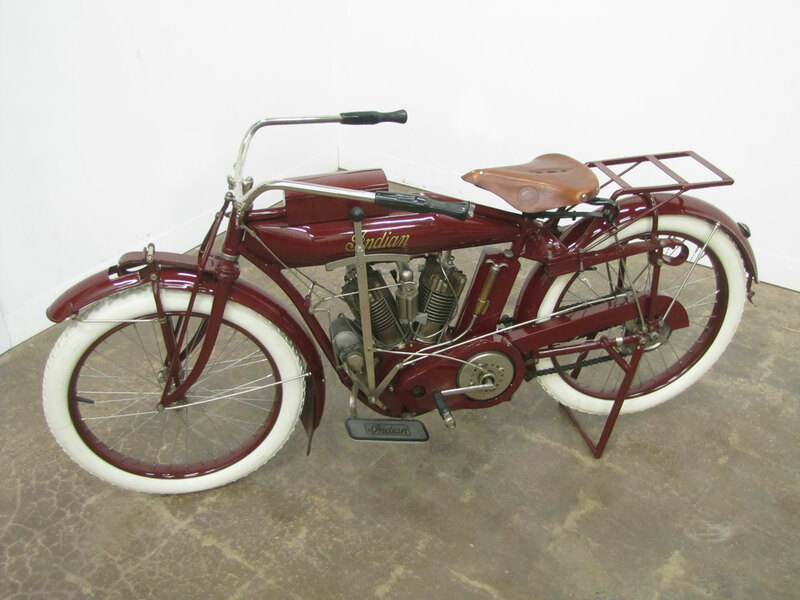 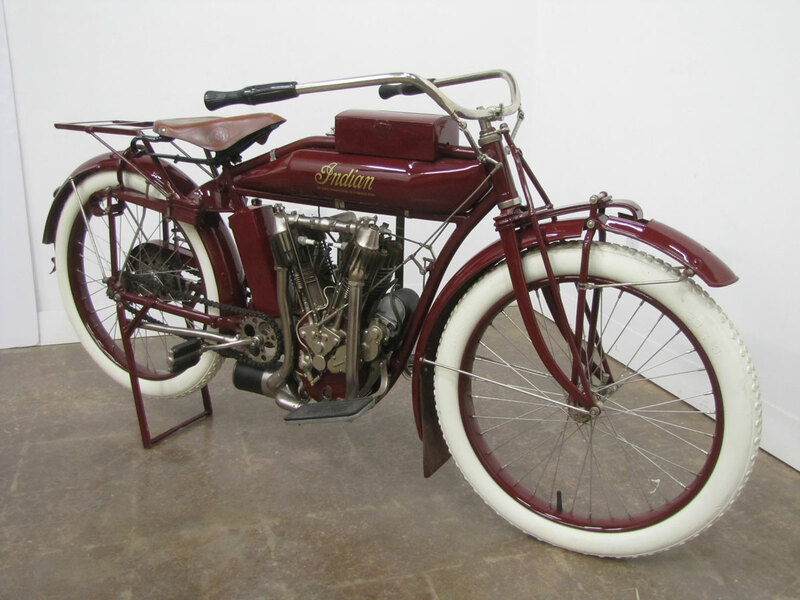 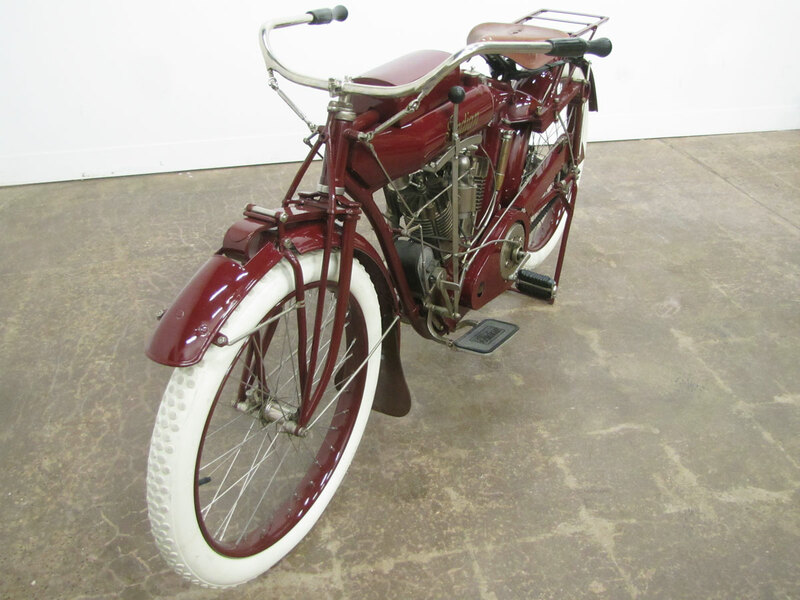 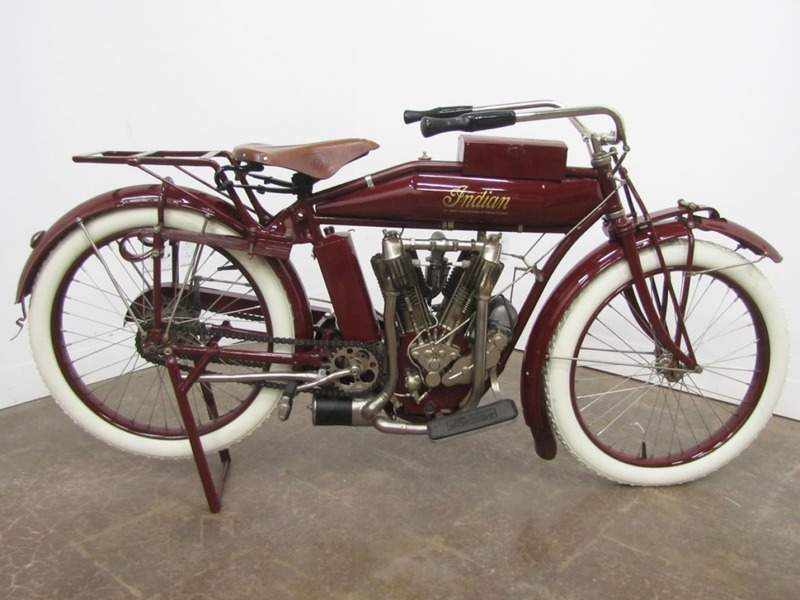 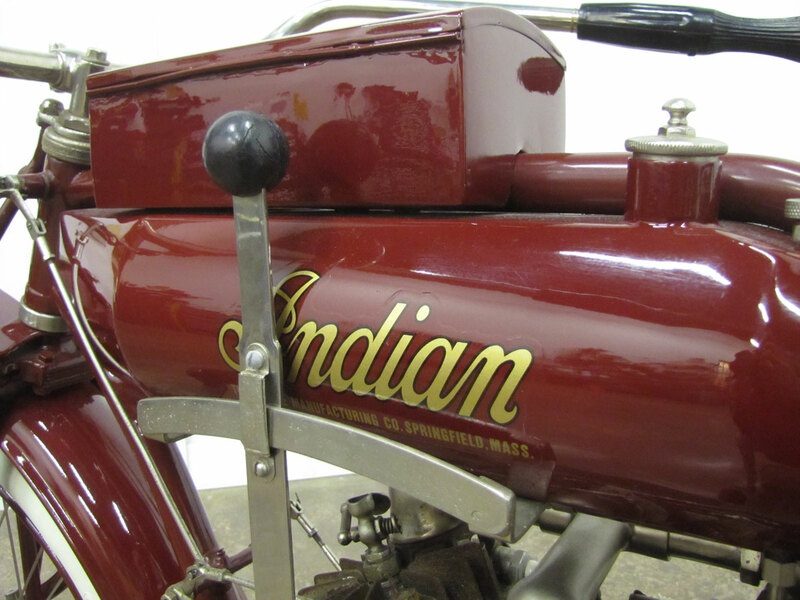 When you visit the National Motorcycle Museum you can view this Indian which is part of the Early American Transportation INNOVATION exhibit and also tour the Indian History exhibit in another area of the Museum and see still more Indians. 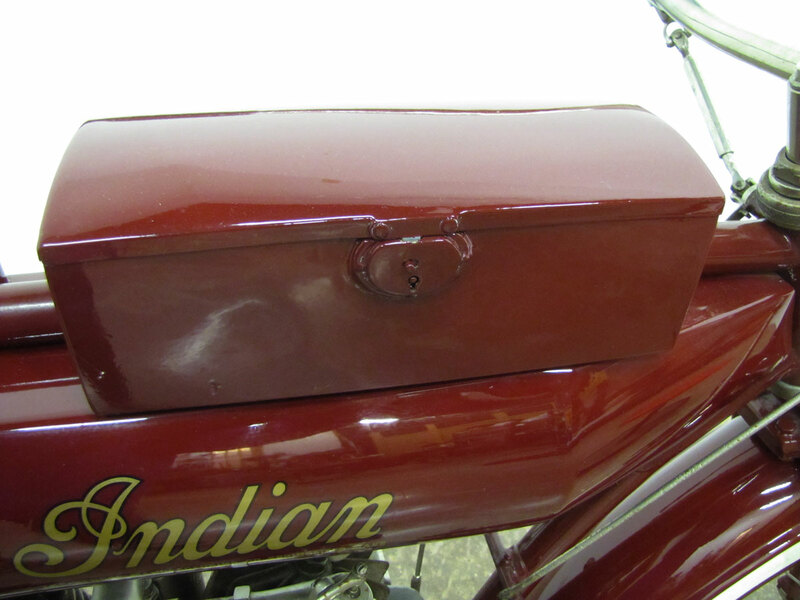 This Indian is from the Jill and John Parham collection. 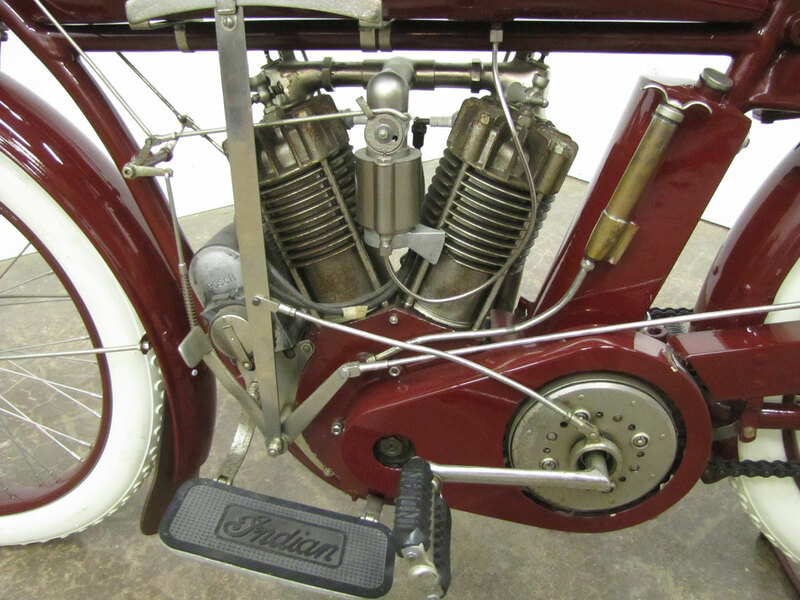 So, what did Indian call this model? 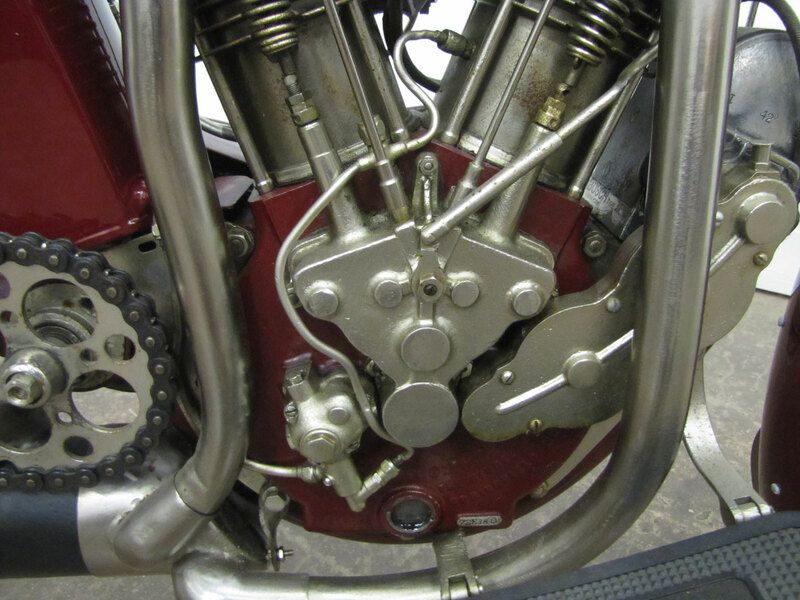 Looks like an early Powerplus,…..yes?,….no? 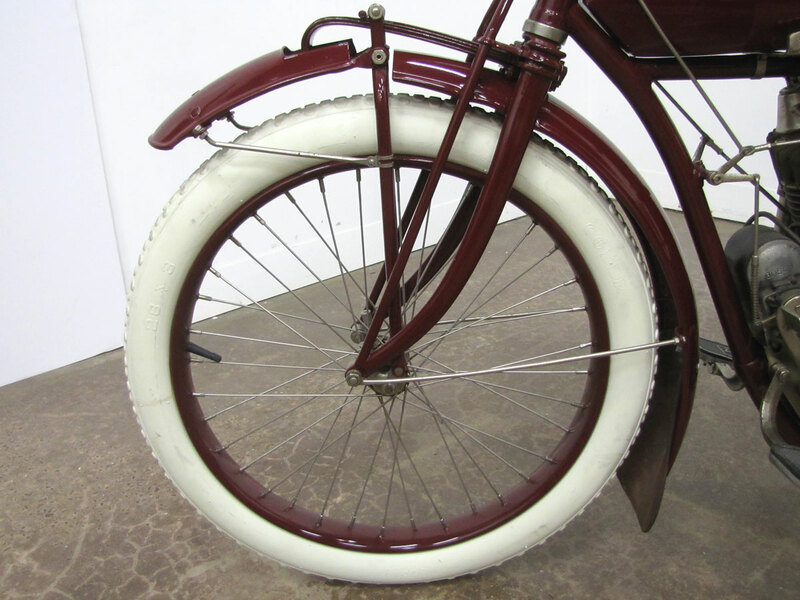 04.15.19 With a bike this beautiful, I just never understand the attraction of bikes that are found and left in the original “unrestored” condition. 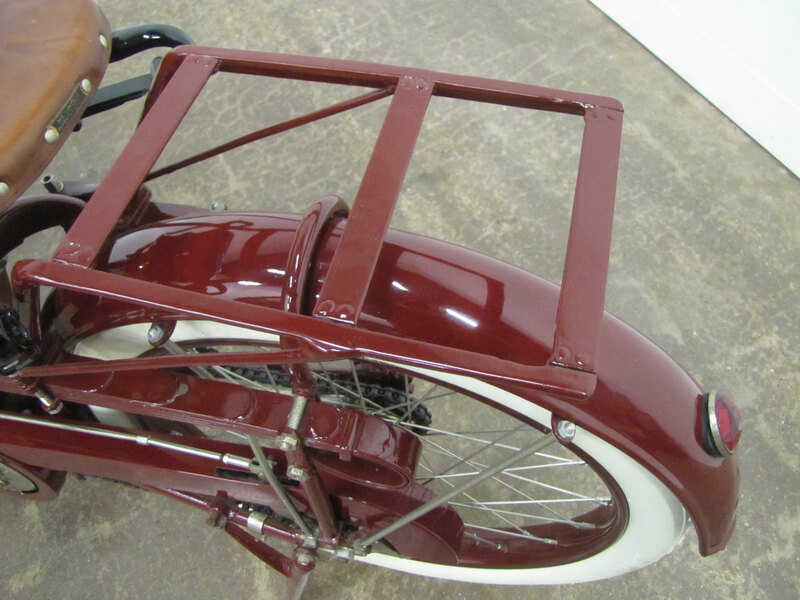 Same thing with old classic cars that are found in a barn. 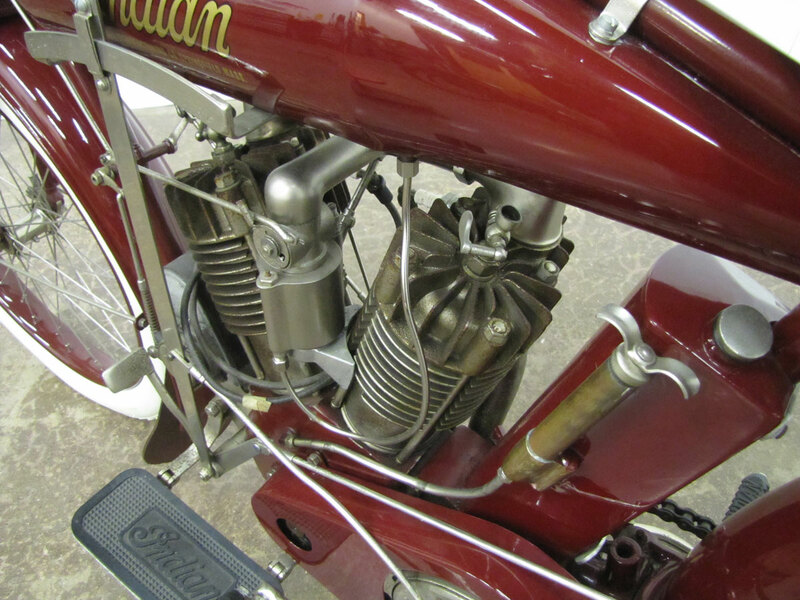 Maybe the owners will put forth the effort to get them running, but will leave them in the poor “as-found” original condition. 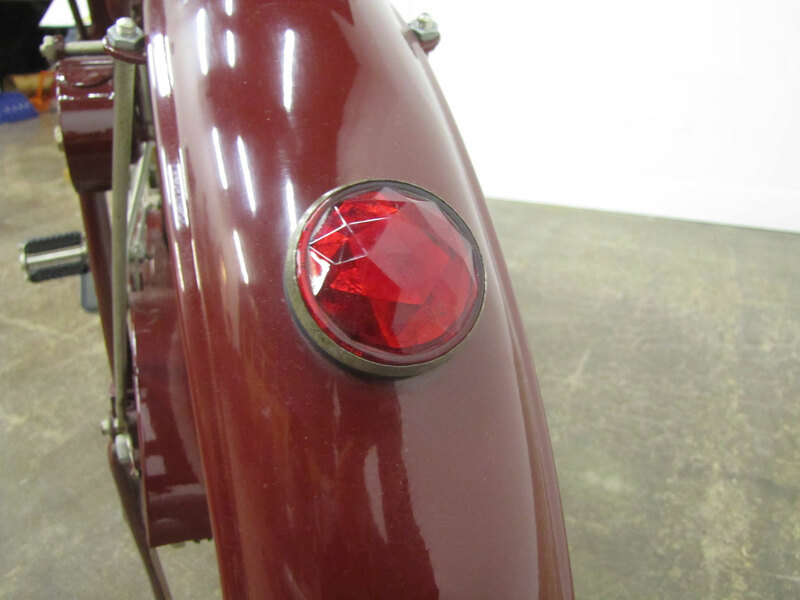 When you can have this kind of perfection, why wouldn’t you try? 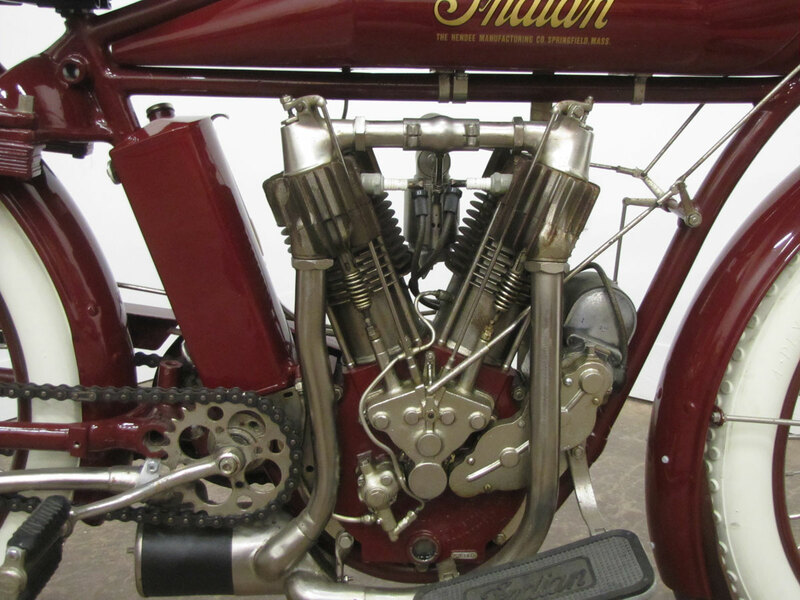 This is an exceptional bike! 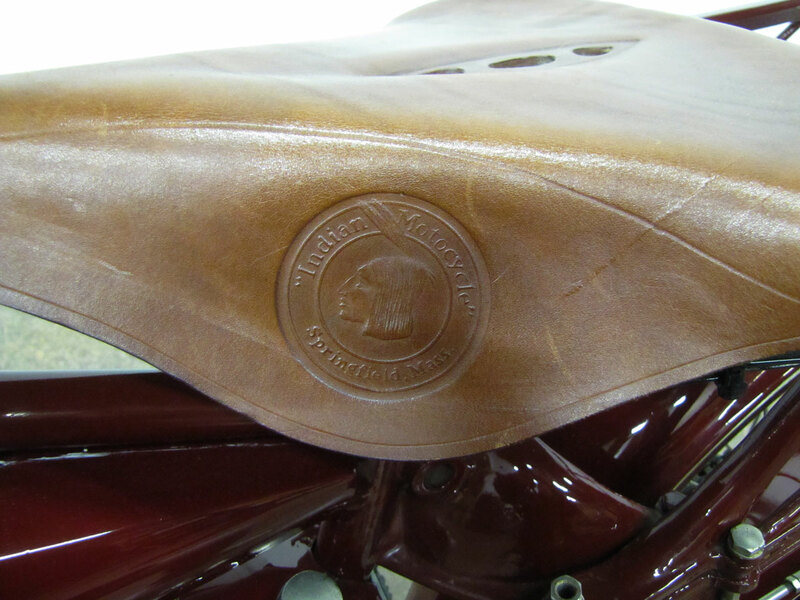 I’m humbled by the effort put forth in restoring it to like new condition.